Imagine. The setting of a Slim Aarons photograph, where stories written in the style of Ian Fleming - but maybe also Fizgerald, even Hamingway - take place. Imagine a Helmut Newton image coming to life and hosting the adventures of kind spirited beings, who live with an ease and connect to what surrounds them beautifully. What would they wear? Probably, a pair of Berenford sunglasses. Born out of Christian and Elizabeth’s desire of creating a limited edition range of vintage inspired eyewear pieces, Berenford is the ultimate result of the combination between their vintage aligned spirits and the emotional connection they have with the pieces they collect and get inspired from, in the most genuine - slightly obsessive - of ways. 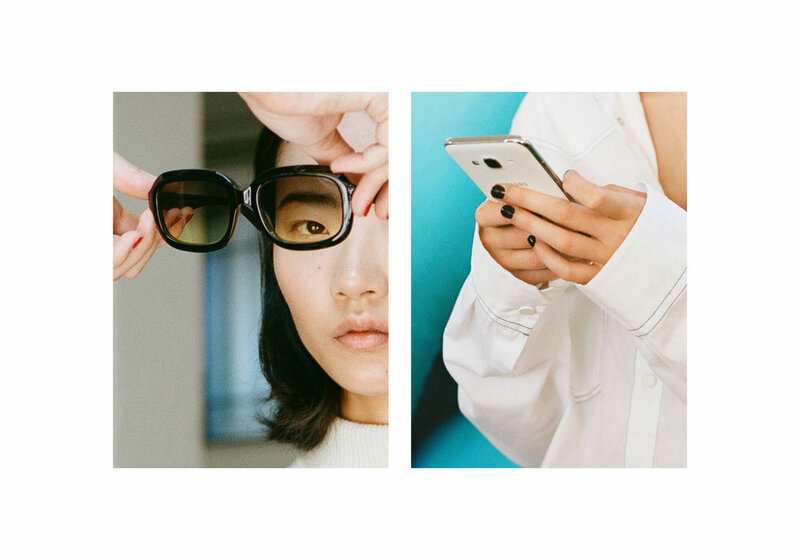 Constantly day dreaming in a world where glamour is more glamorous than ever and chicness is the most effortless of all tasks, Christian and Elizabeth don’t follow trends, but instead try to convey a whole lifestyle through their collection, which is focused on ephemeras and not mere products. Christian and Elizabeth, you’re the creators and designers of Berenford. How would you describe each other? Elizabeth: We constantly switch roles and create simultaneously. The story behind the name of your brand is quite particular, can you tell us more about Berenford? Christian: Berenford is a window into a by-gone era. A whole decade - roughly starting from the café society period until the 90s - which has always been a high magnifier for our creative spirits. Elizabeth: It is simply an extension of our combined tastes and passions. 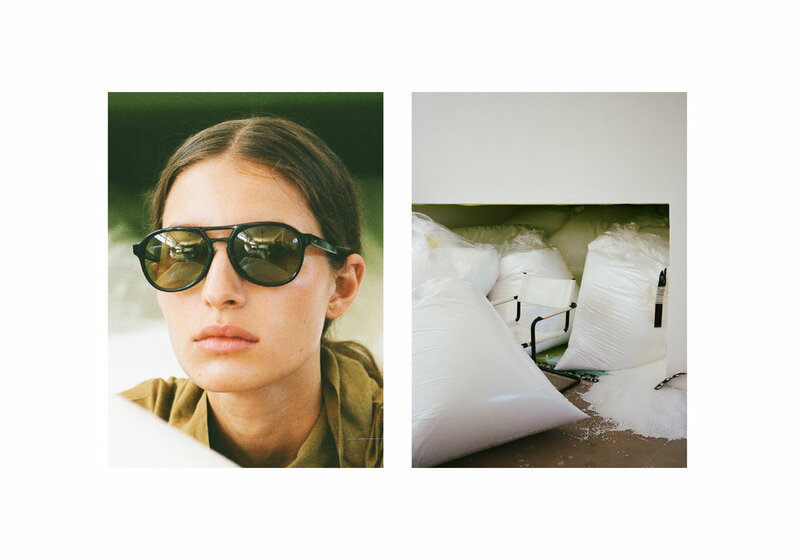 You started with a line of decadent sunglasses called l`Avventura. Why sunglasses? E: We love antique markets and hidden jaunts such as Marché aux Puces in Paris. Over time we’ve built a collection of vintage pieces which includes eyewear, crystal decanters, perfume bottles, books, art works and so on… We started from eyewear because we conceive it not just as functional accessory, but as a collectible object. C: Elizabeth even does it online, she browses for hours through various websites in order to spot pieces she likes. This is probably because we happen to have a little obsession for one-of-a-kind pieces. Speaking for myself: one day I realized that most of my favourite eyewear brands are now mass produced and have lost their quality and coolness. It didn’t take long until my inner voice said: ‘Why not?’, and here we are. How important is vintage for you as a reference? C: Anything vintage is really essential and dear to us. From vintage records, ties and watches to vintage cars and interiors. E: Our universe is built on the old world heritage. We love old music, old movies, classic literature, and we are always on a quest for rare collectibles. Also, we think vintage is just really glamorous. We always imagine a setting from a Slim Aarons or Helmut Newton`s photographic work and this kind of spirit with a sense of ease is what we live for. It keeps us inspired and in a state of constant day-dreaming. Berenford is highly influenced by the old world glam. How do you manage to reinvent this aesthetic in order to make it current? E: Current for us refers to our state of mind, which is present but vintage aligned. We find ourselves aesthetically and emotionally connected to vintage. We pick up what we love - interesting objects with a soul and a story behind - and hope that people will like them too. We do not follow trends but instead try to convey a whole lifestyle focused on ephemeras and not products. C: To start with, we did a big research on what fascinates us. From Ian Fleming, Fitzgerald and Hemingway`s works, continuing through old archives of photos, articles and films, picking up our favourite muses and settings. We then put everything together, fused with our travel memories and love of bespoke and art. What’s in the cards for the future of Berenford? C: In the near future we are adding several new lines, which are all vert exciting to us, but I am not going to spoil the surprise! E: We dream big. I believe that we create and define ourselves and that karma surrounds us, defining who we are. We eventually connect with all the beautiful people out there who share a similar mindset and step by step transform our ideas into matter. If you could have anyone - past and present - wearing your designs, who would you pick? C: There’s many. J. F. Kennedy, Grace Kelly, Brigitte Bardot, Porfirio Rubirosa, Jane and Serge, Mick Jagger and more. E: Any person with a vintage soul and noble inner self. Someone with a curious mind pushed towards the limitless beauty of this world and beyond.